You’re stuck at work, your spouse is out of town, your son is sick at school and your daughter is late for piano lessons. A few years ago, some sacrifices would have to be made-but now you just call a car-sharing service to haul your brats away! I mean, you’d trust this man to transport your kids, right? While Uber and Lyft require users to be at least 18, that hasn’t stopped some parents from letting their children use the services on a regular basis, creating a gray market for UberBLACK and other ride-hailing offerings, according to industry analysts and media reports. Most families have been through the same struggle. It seems impossible to juggle the family’s diverging schedules with the common issue of getting everyone where they need to be. With most modern families, both parents are working, and add that in with the kids in school and any other extracurricular activities, and it becomes almost impossible for everyone to get where they need to go. The practice was neither confirmed nor condoned by either company and technically violates their terms of service. “We do not allow unaccompanied minors on the Lyft platform, per our terms of service,” said Katie Dally, Lyft spokeswoman. Uber spokeswoman Brooke Anderson declined to comment on the practice. It is surprising that the big two ride-sharing services don’t have already have a solution for this, though they seem to be working on it. Uber has started a service called UberFamily that charges a $10 premium with rides featuring child seats and tablets for entertainment, but still requires any minors to be accompanied by an adult. Dave Sutton, spokesman for the Rockville-based Taxicab, Limousine & Paratransit Association, noted that officials in Los Angeles and San Francisco have questioned the company’s methods for screening drivers. He said unlike the taxi industry, Uber’s background checks don’t include fingerprinting. Uber officials said the company does not use fingerprinting as part of its background checks, but said they think the process they use is more comprehensive. In the suburbs, parents try to network with other families to get their kids around, and some parents even turn to less organized and private drivers-for-hire, who are often people using small buses or vans to transport groups of people, but are not part of a larger company like Uber or Lyft. There are new ride-sharing companies stepping up to try and solve the problem and fill the gaps left by the Big Two. Shuddle, which started operating just under a year ago, uses a worker force of mostly women as drivers. Drivers are often mothers themselves, as well as caregivers or nannies with experience in childcare. The company focuses on after-school transport, training their fleet to sign kids out of school and shuttle kids to extracurricular activities. Chief executive Nick Allen, a veteran of Sidecar, another app-based transportation service, seized on the idea after getting calls from drivers that parents were putting their 12-year-olds into the cars. Since its debut last fall, Shuddle has tripled in size, Allen said, and is in the planning stages of going nationwide. “We call them ‘caredrivers’ because they are caregivers first and drivers second,” said HopSkipDrive co-founder and CEO Joanna McFarland, 39, a Stanford MBA and one of three moms who launched the service in March. The added layers of security and service come at a price. Shuddle and HopSkipDrive ride fees average about 15 percent higher than Uber or Lyft, executives said. These care-oriented companies are more focused on services in and around suburbs, but look to expand into larger cities and eventually nationwide. The benefits to taking some of the scheduled pressure off of parents are easy to see. They can be more productive at work or manage their other responsibilities while simultaneously being able to track and manage their kids getting around. This makes for more opportunities for their kids as well, not having to schedule activities or plans with friends around their parents’ availability. 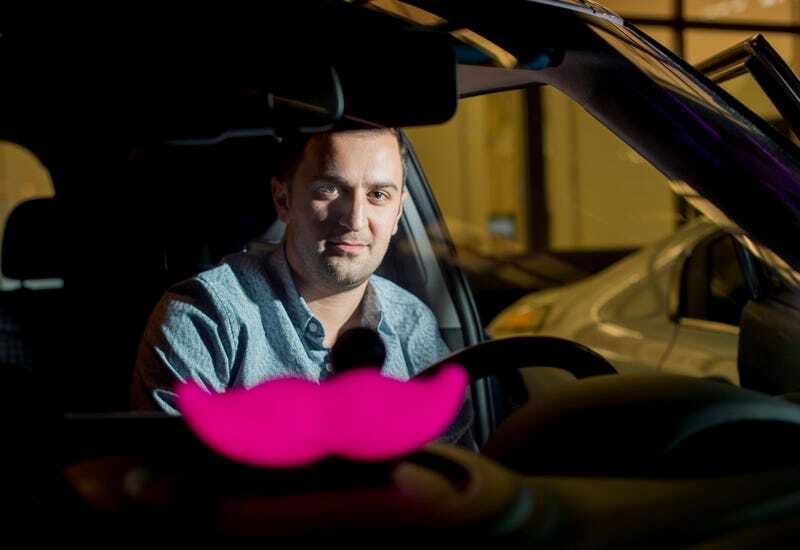 Obviously the security of the more care-focused companies is ideal, but for most families, ride-sharers like Lyft and Uber are the only available alternative over pricy busses, trains, or subways-even though it violates those companies established rules. Unfortunately, it also seems many parents simply are not willing to ignore preconceptions of taxis that may not be accurate, leaving the potentially safest and most cost-effective means of transport for their kids out of their plans. I think if we give it a couple of years, the bigger companies like Uber and Lyft will adapt their platforms to offer safer opportunities for customer’s to fit their family’s needs. We will also see the smaller companies already taking advantage of the gap left by the Big Two grow into more areas. Families are busier, and it seems that as our transportation requirements grow, there may actually be a strong market for autonomous cars to swoop in and save the day, whenever that day actually comes. Until then, I would probably be comfortable with a caregiver trucking around my little tike, but I’m not sold on trusting Uber or Lyft with the only thing in the world priceless to me. Would you let your kid get around alone with a stranger if you could arrange and track it?